Toyota Country Music Festival fans are in for a colossal year in 2018 with an ever-growing line-up of shows confirmed and more tickets on sale this Sunday, 1 October 2017. Superstars like Kasey Chambers, Beccy Cole, James Blundell, The Wolfe Brothers, Buddy Goode, Brothers3 and ventriloquist Darren Carr will all be returning to Tamworth with huge shows at Wests Entertainment Group (Wests) venues throughout the Festival. Also returning to Tamworth and Wests is the ever-popular Coyote Ugly Bar and the Country Turns Pink Concert slated for Sunday, 21 January 2018. Aleyce Simmonds with her band The Spurs and some special guests Finnian Johnson and Paul Carey will rock The Tamworth Hotel on Sunday 21st January at 7 pm. Off the back of a jam packed national tour, this will be the first time Simmonds – the 2017 APRA AMCOS Award winner and her band have performed at The Tamworth Hotel and the show is sure to be a Festival highlight! On Wednesday, 24 January 2018 young superstars Caitlyn Shadbolt and Reece Mastin will be at The Albert Hotel while at The DAG the Songwriters Retreat Showcase will see Luke O'Shea, Kevin Bennett, Jeremy Edwards, Jen Mize plus a mystery tutor and songwriters from the 2017 Retreat on show. Also at the DAG fans can catch country music favourites The Bushwackers and Tom Maxwell during the week. Toyota Country Music Festival Manager, Mr. Barry Harley said whether people come to Festival for the music, the atmosphere or simply the experience, there is something for everyone in Tamworth in January. 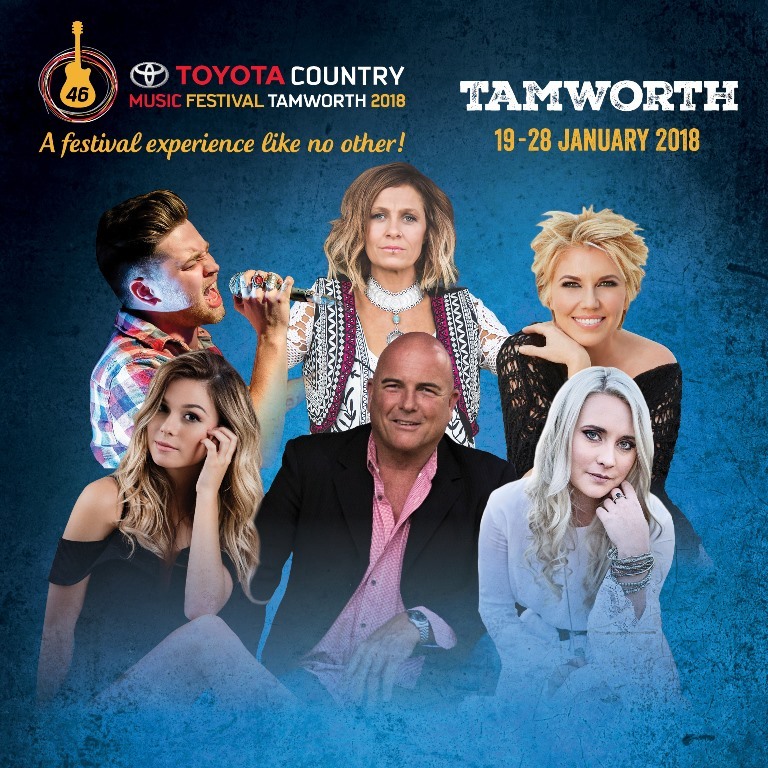 The 46th Toyota Country Music Festival, Tamworth will be held from Friday, 19 to Sunday, 28 January 2018 with the 46th Toyota Golden Guitar Awards on Saturday 27 January 2018 at the Tamworth Regional Entertainment and Conference Centre. For all Toyota Country Music Festival, tickets and registrations head to www.tcmf.com.au. The Toyota Country Music Festival, Tamworth is proudly supported by the NSW Government through its tourism and major events agency Destination NSW.